We are fully licensed and insured packers and movers Mumbai offering professional local and long-distance moving services. We are experts in Household shifting. We can pack your household goods and relocate them to the destination safely and on time. We have professionally trained commercial packers and movers team. We can relocate your office with minimum business downtime. We can shift your car and two-wheeler to anywhere in India at a very economical cost. We are leading vehicle transport company in Mumbai. We have our own fleet of moving trucks equipped with all safety features and extra padding. We can safely transport your goods to anywhere in India. Are you looking for packers and movers company in Mumbai? If so, then choose Balaji Cargo Packers and Movers as your moving company. We are the most experienced and trusted packers and movers Mumbai company. We can assist you in every aspects of your move. Our moving experts can help you in planning, moving and transportation of your belongings. 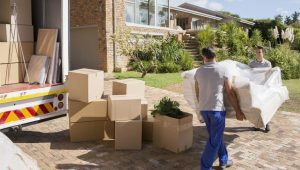 Our moving experts will assist you in choosing the best moving services taking into consideration your specific moving needs and moving budget. We can move you locally in Mumbai or to anywhere in India from Mumbai. We are fully licensed to operate all over India with our headquarters in Mumbai, Maharashtra, India. 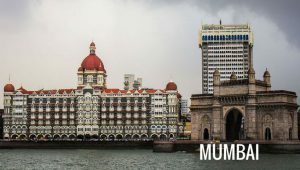 Mumbai is known as the financial capital of India and capital of Maharashtra state. As a major city in India Mumbai have offices of all major businesses in India as well as Government departments. With a fast pace development of the city, people move to different locations as per their convenience. Balaji Cargo Packers and Movers can make your moving experience enjoyable and stress free. Our moving services includes Household Shifting, Business Relocation, Vehicle Transportation, Packing and Unpacking, Local Moving and Long Distance Moving. We have years of experience in providing packers and movers services in Mumbai. With over 17 years of experience in moving industry, Balaji Cargo Packers and Movers are the most experienced and professional packers and movers Mumbai company. We excel in providing all types of moving services in Mumbai and surrounding areas. Our movers have the necessary skills and proper moving equipment to move your belongings safely and on schedule. Our moving services are fully insured. Our staff is background checked and experts in their respective field. Our service area covers entire Mumbai city and navi Mumbai. We can plan and execute your move in a professional manner and that too at a very low cost. Our pricing policy is transparent and upfront. We do not add any additional or hidden charges at the end of the move. Choosing Balaji Cargo Packers and Movers as your packers and movers Mumbai will give you peace of mind that your valuables are handled by professionals who take care of your belongings just as their own. We pickup and deliver on schedule. We keep close contact with our customer and inform them about the progress of the move on reguar basis. We complete all local moves on the same day. Long distance moves takes time and for our long distance customers we provide 23/7 customer support. Contact us for your upcoming local or long distance move in Mumbai and let our team of professional movers handle your move. We assure you that with Balaji Cargo Packers and Movers you will have a pleasant moving experience. 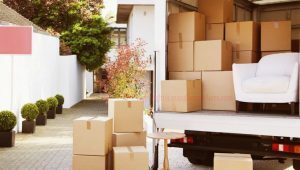 You can also visit our Blog to know latest offers and discounts available and useful articles about packers and movers services in Mumbai. Check our Blogger and WordPress Blogs for moving tips and information on moving industry in Mumbai. With over 17 years of experience in providing moving services, we are one of the most experienced Packers and Movers Mumbai. Having undertaken thousands of sucessful residential and commercial relocations, we are most reliable Packers and Movers Mumbai. Our moving services are fast, reliable and economical as compared to other Packers and Movers Mumbai. Looking for Packers and Movers Mumbai For Your Upcoming Relocation? Balaji Cargo Packers and Movers is a full service moving company serving Mumbai and Navi Mumbai. We offer professional packers and movers services at economical cost. With our branch offices in all major localities of Mumbai and Navi Mumbai, Balaji Cargo Packers and Movers is one of the largest and most experienced Packers and Movers Mumbai. Hiring Balaji Cargo Packers and Movers for your relocation in Mumbai have many advantages. We are fully licensed to operate in Mumbai and entire India. We have the experience in local moving as well as long distance moving. We have proper equipment and experienced crew to handle your belongings is a safe and sure manner. Our crew have years of experience in providing packers and movers services in Mumbai. We are local packers and movers Mumbai and know the city very well. No matter where in Mumbai you are relocating to, we can complete your move on the same day and in the most professional way possible. Our entire staff is background checked and trained professional movers. Our moving services are designed keeping an average persons moving budget. Our services can also be customized to fit customers specific needs. We offer completely insured moving services in Mumbai. We have a proven track record of undertaking numerous local and long distance moves. 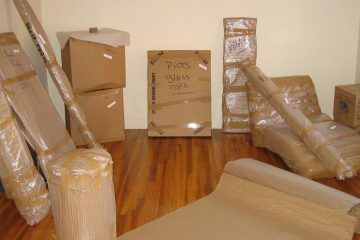 We ensure that your move will be done with utmost professionalism using quality packing material and transparency. We provide upfront moving cost estimate and there are no hidden charges at the end of move. Hire Balaji Cargo Packers and movers over other packers and movers Mumbai for a professional and stress free move. Contact us now for an appointment. We are Local Mumbai based Packers and Movers company with 17 years of experience in providing moving services. We offer Free site survey and free moving quote. Our packing and moving staff is trained and experienced. We check background of each person before hiring them as an employee. 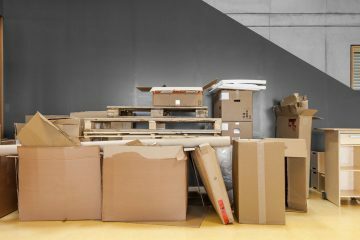 We use the best packing material and our moving trucks are well equipped to provide maximum safety during transportation. We provide unpacking services at destination. Our packers and movers services are affordable with NO hidden cost. Our expertise and professionalism has made us preferred Packers and Movers Mumbai. © 2017 Balaji Cargo Packers and Movers Mumbai. All rights reserved.